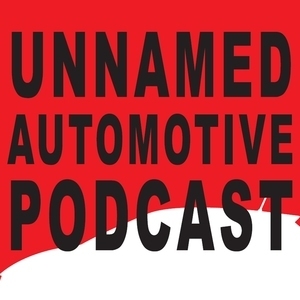 Benjamin and Sami are two journalists who take a weekly look at the funnier side of the automotive industry, the cars they drive, the places they go, and the weirdness that surrounds the industry at all times. Guest Dan Heyman is in the studio to argue with and refute Benjamin's past assassination of the Alfa Romeo Giulia Quadrifoglio and talk about his journey across France in the Infiniti Q60. Sami joins in to discuss the Rolls-Royce Dawn and the lunacy of a $90,000 BMW 5 Series. Sami talks about the Volvo XC60, Benjamin discusses his trip to the Worthersee Treffen GTI festival, and everyone ponders the insanity of the Alfa Romeo Giulia Quadrifoglio. This week Sami and Benjamin explore the endless automotive tie-in possibilities offered by the upcoming Aquaman movie, ask the pressing question of 'what would Aquaman drive?' and take a look back at some of the weirdest movie tie-in cars every sold. Also, off-road trucks! This week it's all about Bro Trucks, Raptors, the Stance craze, and Audi's lunar rover - and what it might mean for the safety and future of the entire human race.